Car Donation to Habitat for Humanity | Fast, Easy Vehicle Pickup! Why Donate to Habitat for Humanity? Your car donation to Habitat for Humanity's Cars for Homes program can help a family in your community build a house and the hope of a better life! It is Habitat's mission that every man, woman and child have a safe, decent place to live, regardless of race or religion. Vehicle donations go along way towards helping your local Habitat for Humanity affiliate build houses in partnership with families in need of decent, affordable shelter. It is quick and easy to donate your car, truck, boat, RV, trailer, construction equipment or other vehicle today. Vehicle donations to Habitat for Humanity are also eligible for a charitable tax deduction. For more information on how to donate a car, contact one of our expert customer service representatives at (877) 277-4344. The greatest gift your car donation can give is to help a family right in your local community, gain the power to take hold of their future and utilize Habitat's resourceful ways of helping families build affordable housing. Now more than ever, it's important to connect with local community members in need and pave the way for a day when all families have decent housing. See how the proceeds of your car donation benefit local families partnering with Habitat for Humanity. 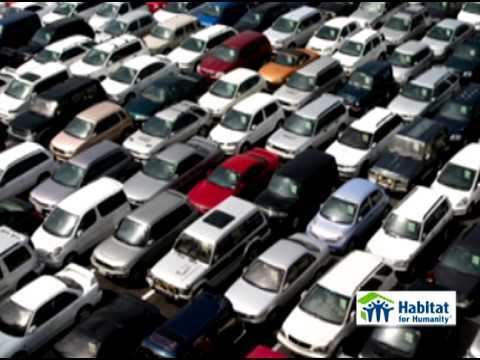 Learn about how to donate a car to Habitat for Humanity's Cars for Homes program.